Boost credit score.....Something we all want. The higher that 3 digit number, our credit score is, the better our financial picture will be. It results in lower percentage rates on loans, lower insurance rates and at times a better job. Here are some tips to boost your credit score or at least not let it slide downwards. Your credit report is a good place to start. We are all able to get a yearly report for free from each of the credit bureaus Experian, Equifax and Transunion. If you were applying for a large loan the lender may use scores from all three bureaus and take an average to determine the score they will use with you. So trying to keep all three reports with accurate and complete information is important in achieving as close to the same score as possible. One big boost credit score area the lenders look at is how much debt you currently carry compared to how much is available to you. The current view is to not be owing more than 30% of what is available on any account. The lower this percentage is the better you will look. This is not the total percentage overall, but what is on each account. So in example if you have an account that has a $1000.00 limit your balance should be no higher than $330.00. If you are not good at math multiply the limit by .30 for your answer to the highest your balance should be. Boost credit score even more by getting that usage down to 10% as some would suggest. And again others say why are you even carrying a balance? Food for thought!! Since inquiries do have an impact make sure that when you do take out new credit, it is only a very occasional event. If you have accounts not in use, a better idea is to use that card for whatever purpose you had in mind for the new credit card. This way you skip the application process and the hard inquiry that accompanies it. There will be no downward dip in your score and you won't be in danger of that older account being closed by the creditor for inactivity. AND that older card not used has more history attached to it. That is something of value in your quest to boost your credit score. So if you actually have to make a schedule to use cards do so otherwise that card maybe slated for closing by the creditor for inactivity. No boost credit score there if that happens!! If you are thinking about new credit, examine your history and look to see if you need to add to your "portfolio". The new FICO product is putting more emphasis on those with a more varied credit experience meaning if you have all revolving credit you may try adding an installment loan to boost your credit score. Maybe wrapping some of the balances of over 30% into that to whittle them down to where they should be. If you are going for a big loan such as a mortgage or auto loan, try to keep the "shop around for the best rate" period within 30 days as that with be looked as a one big inquiry. If late payments were putting a damper on your credit a current suggestion is to put your payments into an automatic payment plan. Many times if you set up a separate checking account and a budget that includes all your payments you can effectively gain control of this area. 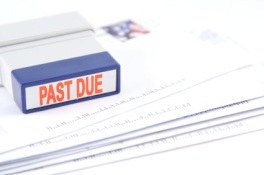 If you've had a few late payments but most of your history is current payments you may try calling your lender and ask if your account can be re-aged. You will lose some points as this shortens the history of the account but it will eliminate those marks. So it depends on the length of the history and where the late payments are in that history. If they are very far back it doesn't matter. Remember most creditors look back at the last two years. If the late payments are older than 6 months and you don't have anything critical that needs superior credit to qualify it may be best to leave it be. One area to use caution but is useful to boost your credit score and bring that debt down is in the transferring of balances. Read terms carefully. Make sure it's worth the transfer. If it's a new account your score will get dinged a bit and if the limit isn't as high as the old account your credit utilization portion of the score will be affected if you close the account. So don't. The better rate should also be low enough to offset any transfer fees incurred. AGAIN do not close the old account that you transfer from. If you are able to keep the old account, get a decent rate, and whack down your debt, transfers are a good way to boost your credit score. In preparation for a large loan but when paying down debt be aware that if you pay down the debt too quickly it can possibly lead to you being categorized differently. Score cards are groupings of similarly grouped people. Paying down too quick can put you on a different scorecard and at the bottom of that score card which will lower your individual credit score. Check your credit report and make sure your account limits are the same as your personal info on that account. Lenders are slashing limits. This needs to be disputed with them as your utilization ratio will lower along with your score. If they are all where they should be you can try calling and asking for your limit to be extended. This may only work if your credit with them is good and there is a reason to believe it will be used. Not that it has to be, just the possibility. If it is in your ability to purchase something large that will go beyond your present limit but you have the money in hand then ask for the extended limit and use it then pay it off. In this instance the extended credit may not be taken away. If you are one with little to no credit the area of how you handle payments will be critical to boost your credit score. Formerly those with little credit files had to work to get a file going. In many cases that may still be true but the trend in lending is leaning more and more to groups of people that formerly did not receive credit. In these cases the payment history of rent, utilities including cell phone payments and insurance payments are all looked at. As you can see many small changes can make a good effect. Boost your credit score by always looking for ways to do so.